This year has been a real treat for sky gazers. On January31, a rare lunar trilogy occurred when people witnessed a supermoon, blue moon, and a lunar eclipse. 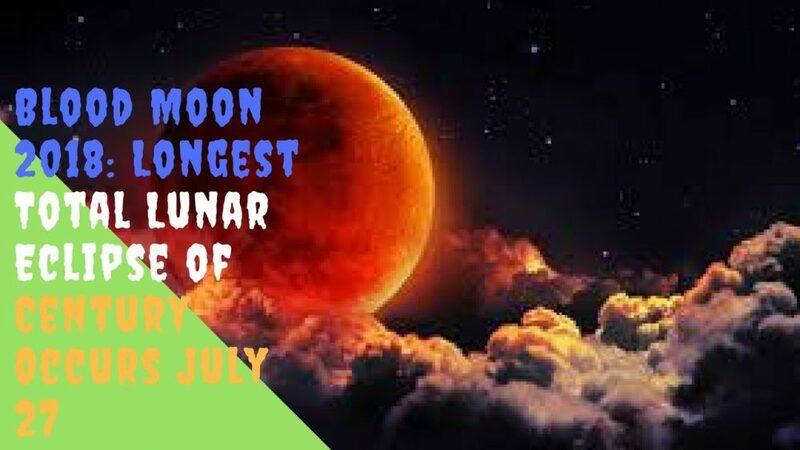 Now, one more lunar eclipse is due to happen on July 27 — it will be a blood moon, during which our moon will turn an eerie shade of red. The lunar event will be visible to most people living in the Eastern Hemisphere, but it won’t be visible to viewers in North America. People from some parts of central Asia, the Middle East and eastern Africa will be able to see the lunar eclipse in its entirety. The eclipse will last for 103 minutes, which is four minutes short of the longest possible duration for an eclipse. This lunar event will occur at the same time as the moon hits its apogee (the furthest point from Earth in its orbit). This is the reason why the moon will take such a long time to pass out of Earth’s shadow. Moreover, the moon will also look smaller than usual. For observing this eclipse, you need no special equipment; it’s safe to view directly with the naked eye, telescopes, or binoculars. Mark Your Calendars: Lexus Hoverboard Arrives on August 5th!